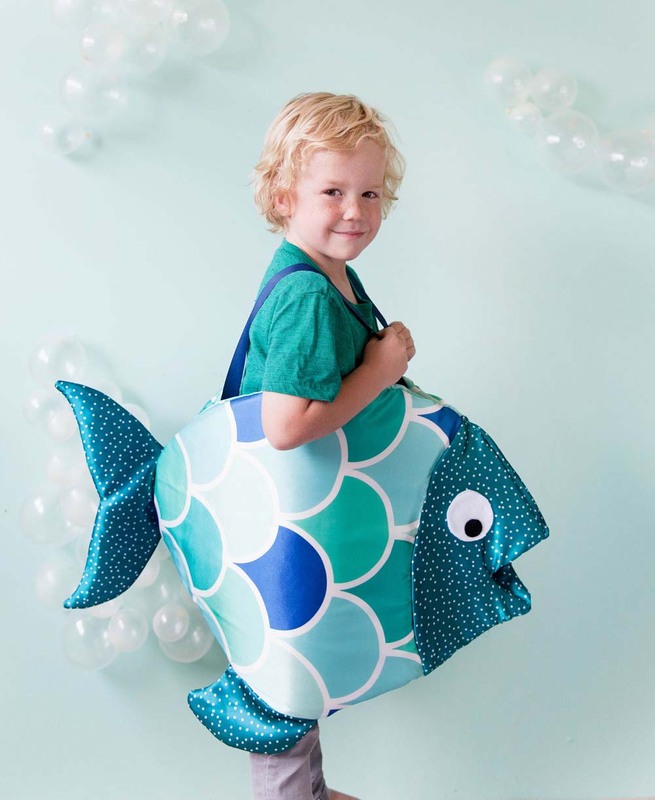 There’s nothing fishy about making your kid’s Halloween costume, especially when it incorporates all of your favorite DIY elements like hot glue, felt, foam and of course, custom fabric! Sara Walk of Tell Love and Party is swimming over to the blog to share a costume that will shine amongst a sea of classroom costumes. Taking center stage for this friendly fish is our go-to fabric for costumes, Satin. Level-up your handmade Halloween game with Sara’s step-by-step tutorial and get a head start with our free PDF fish costume pattern. 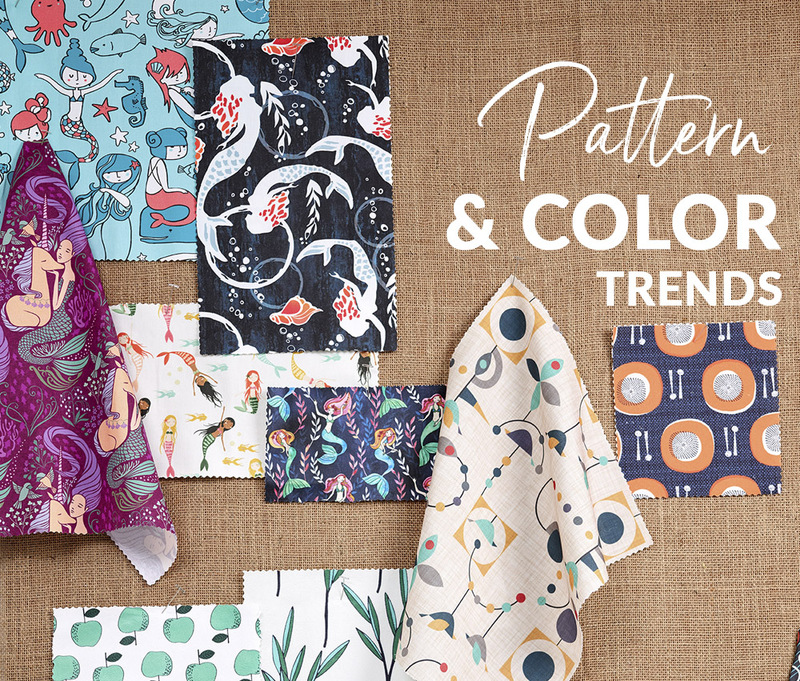 Working behind the scenes at Spoonflower, we get a unique peek at what trends have caught the eyes and hearts of the designer community based on what they’re uploading to the Marketplace. We’ve seen three styles grow in popularity and today we’ve rounded up a few designs to highlight their versatility. Whether you use them to kickstart your creativity for designing or as a starting point for your next DIY project, today’s picks are sure to inspire. 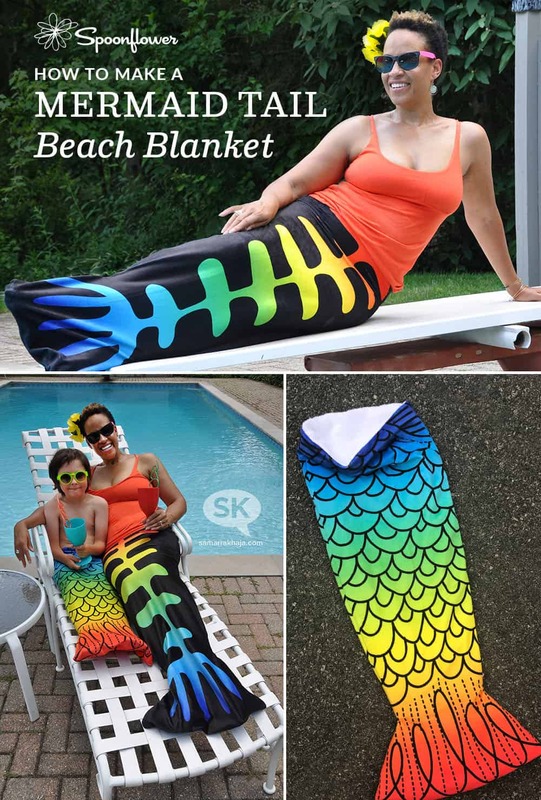 Announcing the Top 10 Mermaid Fabrics! In this week's very special Design Challenge, we partnered with CWDkids to highlight the majestic and mysterious undersea beings from oceans near and far. Don't miss the top ten mermaid designs (and the limited edition fat quarter bundle! ), and please give a huge shout-out to first-time Design Challenge winner Nikki Upsher for her winning design! 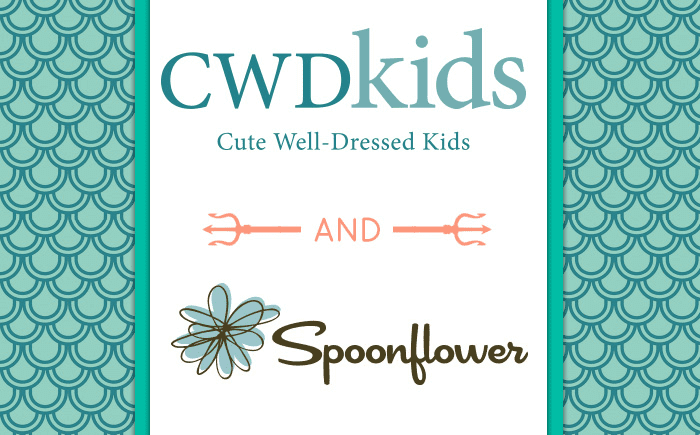 Nikki has the amazing opportunity to work with CWDkids on a line of children's PJs! Check out all the beautiful mermaid designs on our Facebook page in our Mermaids Design Challenge photo album! 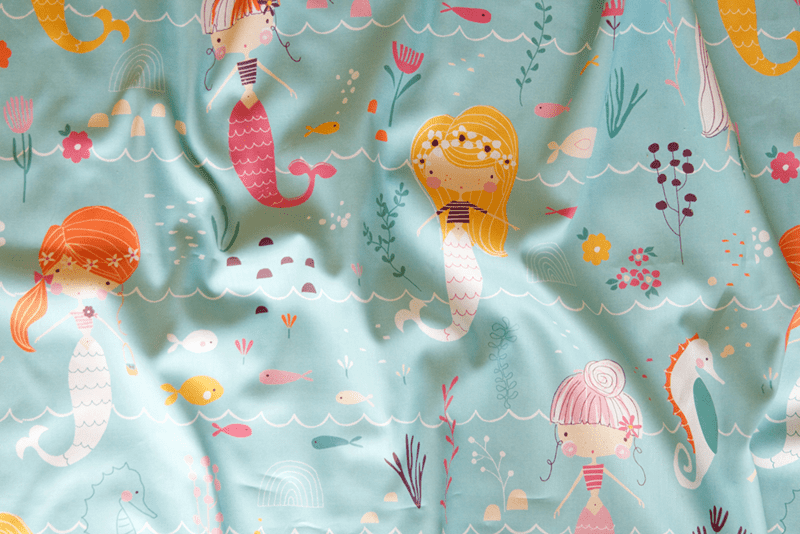 [Read more…] about Announcing the Top 10 Mermaid Fabrics! 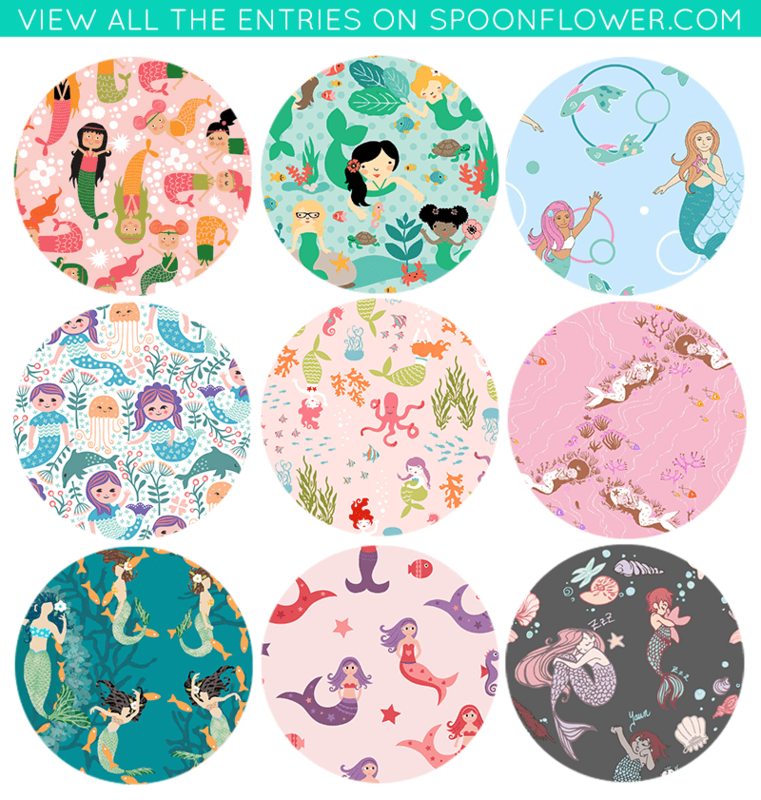 Vote for Your Favorite Mermaid Fabrics! Can we tell you a little secret? Mermaids are real. We swear! This week, we're teaming up with our friends at CWDkids to bring you a very special design challenge – mermaids! The chosen winner will have the amazing opportunity to have their design made into CWDkids best selling children's PJs! Swim on over and vote for your favorite mermaid design now! At CWDkids, we pride ourselves on dressing kids like kids! For us, that means bright and happy colors, playful and imaginative prints, and styles that kids just can’t wait to put on. Our best-selling prints are unique, on-trend, and timeless. We are seeking a new print to add to our best-selling girls’ sleepwear collection for Spring 2016. In line with the current trend forecast for Spring/Summer 2016, we are drawing inspiration from the ocean deep to add the mythical, yet fantastical mermaid! The winning design in our very special Mermaids Design Challenge will be considered for the Spring/Summer 2016 line of two of our most popular pajama sets: the Girls Ruffle Edge Pajamas and the Girls Short PJ Set.